Santa Eulalia, one of the best luxury boutiques in Spain, just launched their new shop online and I’m really excited to show you my first purchase 🙂 In love with my new “noir” Maison Valentino pumps, a classic and elegant choice that I will never regret. Experience the Santa Eulalia online tour and discover the great collections. Hace poco Santa Eulalia, una de mis boutiques de lujo favoritas, inauguro su nueva shop online, y estoy muy feliz de compartir con vosotros mi primer pedido 🙂 Enamoradisima con mis nuevos Maison Valentino…clasicos y elegantes. Os invito a descubrir Santa Eulalia y sus colecciones maravillosas. These Valentino shoes are simply perfect! oooo i need to check out the online shop! Those shoes are simply amazing, beautiful selection! I just loooove these shoes so much !!! 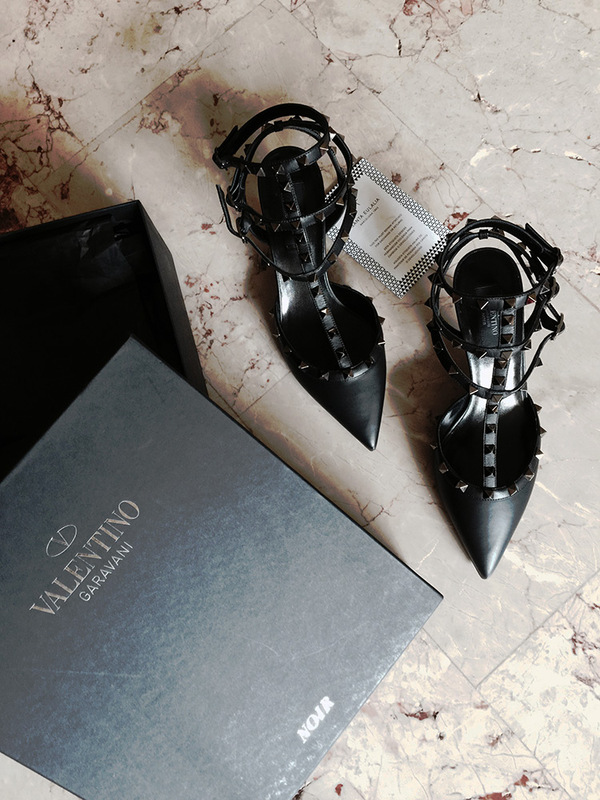 I love those black valentino shoes! !